In December 2012, my colleague Matt Skoglund described the serious impact wolf hunting seasons in the Northern Rockies were having on Yellowstone National Park wolves. 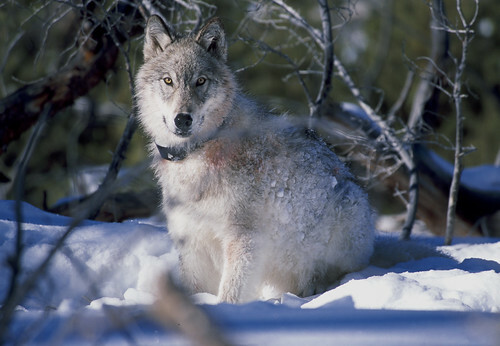 At that time, hunters had just killed wolf 832F, the alpha female of the Lamar Canyon pack, one of the most famous wolves in Yellowstone (and the world). She was the eighth collared wolf to be killed by hunters after leaving the boundaries of the park. Matt explained that, in response to widespread media attention and public outcry, the Montana Fish, Wildlife & Parks Commission held a meeting to consider closing two areas adjacent to the park (constituting a miniscule percentage of the total area in Montana available to kill wolves) to wolf hunting and trapping for the rest of the season. Matt attended the meeting and described several people testifying in favor of the closure, including a hunter, a wildlife-safari guide, and a wolf-watching enthusiast from England. After considering all the testimony, the Commission took the reasonable and justified step of enacting the closure. 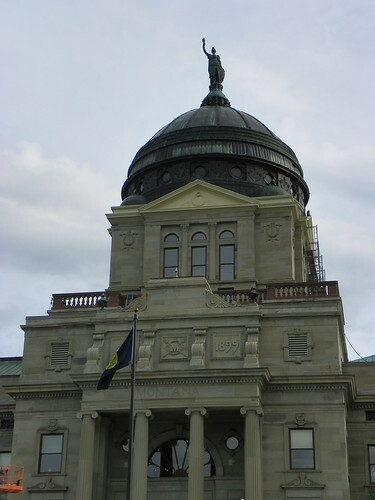 Shortly thereafter, several sporting groups and a Montana state representative sued the Commission, alleging that the closure decision had violated various regulatory, statutory and constitutional provisions. They argued that the Commission failed to give adequate public notice prior to implementing the closure. The state district court agreed, and ordered that the areas be reopened to wolf hunting and trapping. The Commission decided not hold a rehearing on the issue, concluding that with only about a month left in the season, it had “simply run out of time" to hold another meeting, then return to court to apply for an order allowing the closure to be reinstated. Now, a record 12 percent of Yellowstone’s wolves have been killed by hunters. Meanwhile, the Montana legislature is doing its best to ensure that park wolves continue to be killed in the future, by enacting measures such as House Bill No. 73, which, among other things, prohibits the Commission from closing any areas adjacent to either of Montana’s national parks to wolf hunting or trapping, unless a wolf quota for those areas has been established and met. This bill passed by resounding majorities in both chambers: 96 to 3 in the House of Representatives, 45 to 4 in the Senate. Perhaps the overwhelming support for this bill simply reflects an unfortunate, pervasive anti-wolf sentiment among our elected officials. Alternatively, or in addition, it may reveal a lack of understanding of why the Commisson’s power to close some areas adjacent to our parks—especially Yellowstone—is so important. First, Yellowstone offers an unparalleled opportunity to study wolves. Yellowstone wolves are among the most visible in the world, and live in an ecosystem that, according to Yellowstone wolf biologist Doug Smith, “is as complete and natural as it has been in its entire history now that it has a complete predator guild. . . . Everywhere else, people keep predators below their natural density.” The ability to observe wolves in such a relatively undisturbed environment, combined with nearly 20 years’ worth of tracking data from radio and GPS collars, has made the Yellowstone Wolf Project one of the longest-running and most comprehensive wolf studies anywhere in the world. Studying wolves benefits landowners, livestock producers, residents of rural areas, wildlife watchers and enthusiasts, and the many state and federal land and wildlife management agencies overseeing wolves and wolf habitat. Understanding wolf behavior helps us reduce livestock depredation and other conflicts with humans, more effectively manage wolves and their prey, enhance wolf-viewing opportunities for the public, and alleviate the counter-productive animosity that often accompanies wolf conversations, by replacing inflammatory rhetoric (used on both sides of wolf debates) with fact-based science. Unfortunately, wolves don’t recognize political boundaries, and even those that spend most of their lives within the park occasionally wander out. This year, for the first time, wolf-hunters were waiting for wolves on every side of the park. As Doug Smith explained, this is a particularly lethal situation for wolves that have grown used to people. “They’ve learned to tolerate people in the park, but that gets them in trouble if they leave. Some wandered outside the park, and within six hours, they were dead.” Several of the wolves killed so far this season were wearing radio collars (about $350 each) or GPS collars (ten times as expensive). 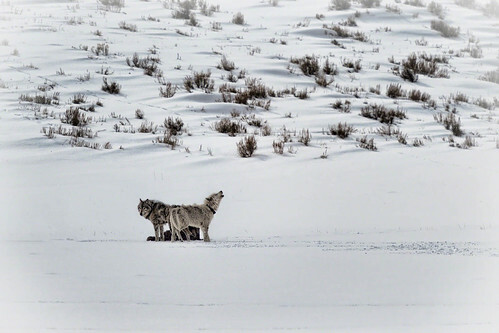 When these wolves are lost, so is the ability of Smith and his team to continue to monitor long-term behavioral trends, both of the individual wolf, and often its pack, if the pack breaks up and disperses as a result. Closures of even small areas near the park help to avoid these setbacks and to maintain the significant benefits these long-term studies provide. Such closures also make sense for Montana’s economy. In a 2006 study prepared for the Yellowstone Park Foundation, John Duffield and others determined that “visitors coming from outside the [Montana-Idaho-Wyoming] region, who are coming specifically to see or hear wolves in the park, spend $35.5 million annually.” (Page 51.) If no effort is made to protect Yellowstone National Park’s wolves, Montana’s vibrant tourism economy could suffer. In addition, closures are an important management tool that the Commission can use to prevent wolf populations from dropping too low, to mitigate the impacts of changing habitat conditions due to drought or severe winters, or to reduce the incidental take of threatened or endangered species such as wolverines and lynx (much of whose suitable and critical habitats abut Yellowstone and Glacier). Ultimately, the Commission is, and should be, the body endowed with the responsibility to “set the policies for the protection, preservation, management, and propagation of the wildlife” of Montana. Hunting and trapping closure decisions for all species should be determined by our state’s wildlife experts, not politics.